Good afternoon, ladies and gentlemen. It is a great honor and privilege to be here. I know most of the people in the audience, today, are pure scientists. I am not. I am an engineer, and I have been involved, since 1974, in large-scale thermoelectric cooling systems for railway coaches and (later) for the French Navy. The only thermoelectric materials, since the late 1950’s, were bismuth telluride, lead telluride, and, to a lesser extent, silicon-germanium alloys. The only research was on systems. But there was no research done on new materials. No universities were interested in new materials for thermoelectric application, and no funding was available. 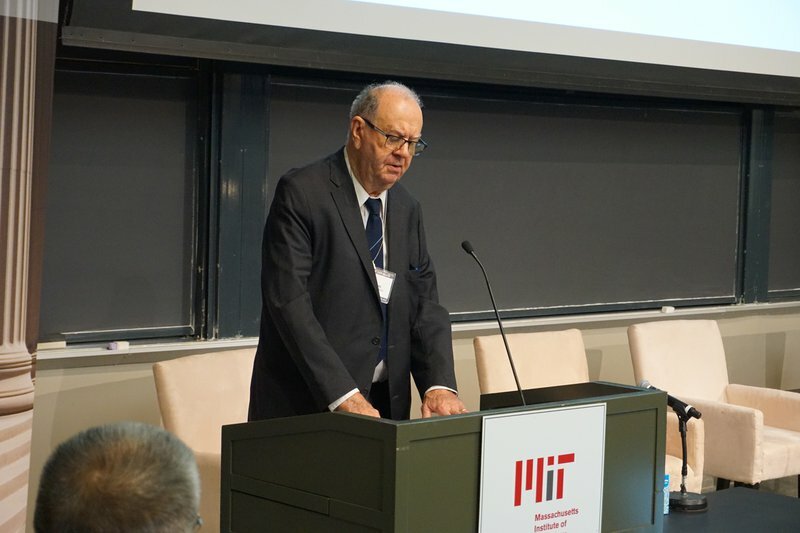 I am thankful to Jean-Paul Issi of the University of Louvain-la-Neuve in Belgium, who told me that, in the US, the most competent group in materials science was at MIT — the group headed by Professor Mildred Dresselhaus. 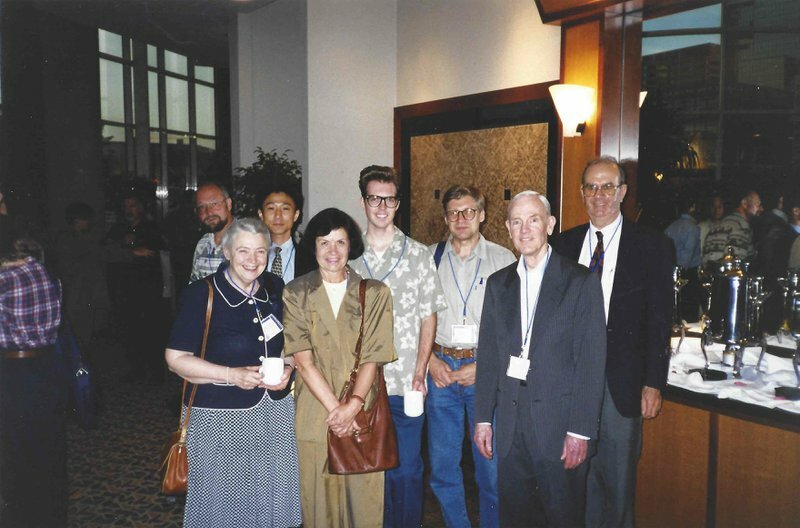 In 1990, Issi organized a meeting at a restaurant in Louvain-la-Neuve, Belgium. 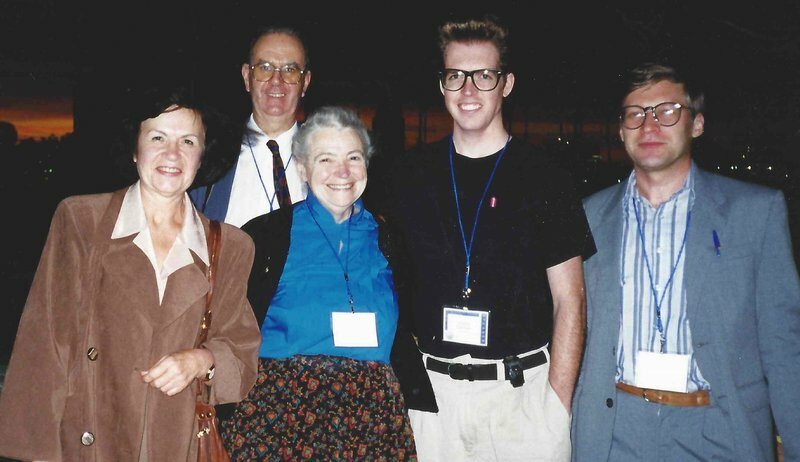 At dinner, I met Millie and Gene Dresselhaus. I explained my interest in thermoelectrics and its potential for navies, and I explained my own involvement with the French Navy, where I headed a group to develop large thermoelectric cooling systems for nuclear-powered submarines. The Navy was interested because thermoelectrics made no noise, and it improved the difficulty to detect submarines. Following our discussion, Millie had ideas on ways to improve materials, and she proposed to submit a proposal to the US Navy. Prior to our meeting in Louvain-la-Neuve, Jean-Paul Issi attended the International Thermoelectric Conference in 1989 in Nancy, France. At this conference, he met two people from the US Navy and discussed research on new thermoelectric materials. They mentioned the interest of the Navy in launching projects on new thermoelectric materials. The US Navy worked with thermoelectric materials since the 1970’s. They had a submarine in San Diego, the USS Dolphin, where they regularly did testing. But it was only equipment. It was development research. It wasn't materials. I informed Admiral Bénicourt, the program director of the French Navy thermoelectric program. He arranged, after a French Naval exhibition in Washington DC, for both of us to meet with a US admiral in Washington to discuss the future of thermoelectric materials. At this meeting, we informed the US admiral about the possibilities proposed by Professor Mildred Dresselhaus of how to improve thermoelectric material performances. Millie submitted a proposal to the US Navy, and two years later, in 1992, her project was funded. 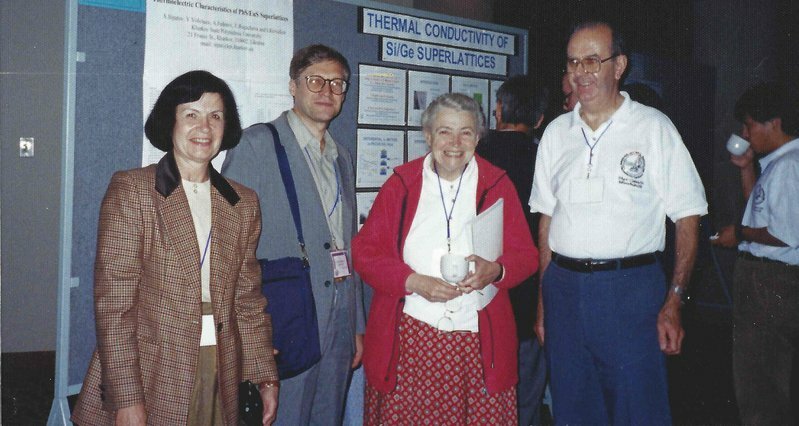 Her paper — by Hicks and Dresselhaus, in 1993 — made the scientific community aware of the potential of developing new thermoelectric materials. In a few years, many universities were studying thermoelectric materials. What follows is well known. I had achieved my goal, but it was thanks to Millie that we got universities interested in thermoelectric materials. Let’s talk about the industrial aspect. In the 1960’s, a breakthrough was expected. It has not happened, but we can still hope! Material scientists must continue to search. But industrially, we must live with the materials we have. Today, there are only niche markets: space waste heat-recovery on a milliwatt scale, and many potential applications with the human body. Also, cooling of PCR, which is polymer chain reaction equipment. There is a lot of equipment, out there, that have thermoelectric devices, but nobody knows about it. It's taken for granted. People simply don't know! That doesn't make any difference, but we must not forget them. In particular, detectors, infrared detectors, when you know the temperature of the detector, it becomes more sensitive to infrared. X-ray detectors and many others. And there may be potential for silicon-based devices. As you know, the micro-technology, today, is based on silicon. There's a great deal of expertise there, and people are thinking of using this with silicon. Silicon is not very efficient, but when you're dealing with small waste heat, it doesn't matter the efficiency. With the efficiencies of today, I don't believe in large scale, kilowatt and more. Even with heat recovery. That's why I started my career over 40 years ago. Unless a paradigm emerges — Millie had a paradigm with low dimensionality. That was a paradigm. But there are claims, and I'm trying to see if they are valid. But nothing is easy. It takes time and hard work.